Pa Kua Chang is one of the youngest kung fu styles, becoming popular as recently as the turn of the centuiy. But in spite of its youth it has one thing in common with almost all other kung fu styles: its history is a mystery. The Chinese have a common cultural prejudice opposite to Occidental cultures. Westerners openly declare their inventions, thus placing their names in history books and reaping well deserved profits from their basic patents. In contrast, Confucius would only take credit for passing down the ideas of ancient leaders and philosophers. Most professionals in China attribute inventions and advances in their fields either to gods or their artistic forebears. For carpenters, the deity is Ju Pan. The revolutionary essayist Han Yu of the Tang dynasty did not claim authorship of his writing style but instead paid homage to the Han dynasty stylists. Opera performers worship Tang Ming Huang in appreciation for contributions made by his talent and support for the opera. Martial artists worship either Kuan Kung or Yue Fei. Some of them willingly bow to a foreigner, Ta Mo. These figures are all given respect regardless of whether or not they actually had any connection or made contributions to their respective arts. So when Tung Hai-Ch'uan said he learned his art from a Taoist monk while lost in the mountains, people in Beijing, impressed by his technique, just accepted his story without question or need for corroboration. Most books and articles accept Tung Hai-Ch'uan's story or simply state that Pa Kua Chang's origin is unknown. Pa Pan Chang Instructor, Ren Wen Zhu or he was following the traditional way instead of claiming his own independent creation. 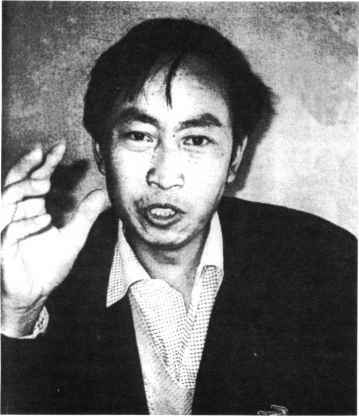 Professor K'ang received support from many individuals and groups, such as Beijing's Pa Kua Chang Yen Chiu Wei (Study Association), for this and for his other big contribution: he finally located Tung Hai-Ch'uan's tomb which had been destroyed by Red Guard during the Cultural Revolution. He had it moved from Beijing's outer east gate and reestablished it with a new memorial outside the west gate. The tombstone of this memorial states clearly that Tung Hai-Ch'uan is the founder of Pa Kua Chang. Professor Kang's work, however, has raised controversy and even anger. Mr. Chen Ch i Ping of the Lang Fang City Sports & Athletic Bureau (Wen An belongs to Lang Fang City) and the late Mr. Nan Pu, formerly chairman of the Hebei Provincial Wushu Association (to which Lang Fang City belongs), responded with their own research articles. This research, supported by local martial artists, concludes basically that Tung Hai-Ch'uan learned his art in Wen An. Many people in the Wen An area also study Pa Kua and some, like Li Chen-Ch'ing. were in the same generation as Tung Hai-Ch'uan. They say both learned from the same teacher, who himself learned from his family and on back for at least three generations. The art that they studied is called Pa Pan Chang. In their opinion. Tung Hai-Ch'uan is without doubt an outstanding local product whose biggest contribution was to establish his credibility and popularize the art starting in Beijing, on throughout China, and out to the rest of the | world. Changing its name to Pa Kua Chang, thus relating the art to the ancient Pa Kua philosophy, and attributing its origin to an elusive Taoist monk were his insightful ways successfully to promote the art. People interested in this historical research can go to China now to conduct their own academic study. But my main interest is in the techniques. During each of my three visits to China. I spent much time and energy on Pa Kua. I received lots of help in Wen An from both Mr. Nan and Mr. Chen and from the Wushu Associations of both Lang Fang and Hebei Province. Professor Kang and the Beijing Pa Kua Study Association also provided their assistance. Adam Hsu (left) demonstrates Pa Kua Chang s trademark posture. Ren Wen Zhu (right) displays the posture most often associated with Pa P an Chang. Chinese grammar allows nouns to be used as verbs, pan can also mean a circular movement. We describe eagles circling in the sky and the dragon [lung) spiraling around a pole as pan. Pa, the number eight, must be linked with pan for explanation. 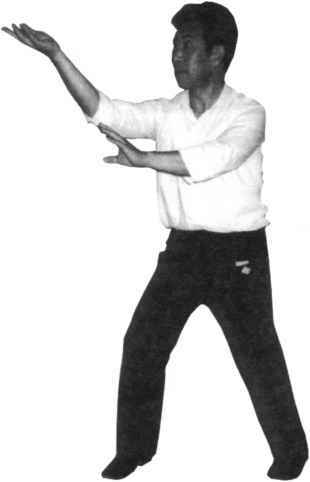 The Pa P an Chang system emphasizes the eight parts of the human body which execute the pan movement while practicing. The upper four pan include wrist, elbow, shoulder, and chest. The lower four pan are ankle, knee, thigh, and stomach. The name "Pa P an Chang" highlights the importance of moving the entire body and major joints in a circular manner: ch'an szu ching. I believe that the viewpoint implicit in the name Pa P an Chang should be of greater value to practitioners than Pa Kua Chang's. In reality, to walk the eight directions is an external way to view the art. 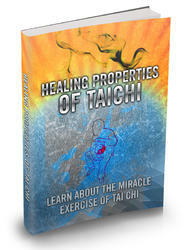 But paying attention to movement of the eight body parts puts the focus on or "in" your body — the internal. The one element that distinguishes Pa Kua Chang immediately and visually from other styles is circle walking. Today many people feel that without this you are not practicing real Pa Kua. This isn't entirely true. Although the major form of practice follows the circle there are supplemental training methods or forms which move in a straight line. In this respect, both Pa Kua Chang and Pa Pan Chang are the same. But the real and surprising difference between them is the way they walk the circle. Just about everyone has heard of the specialized step called t ang ni pu (mudsliding step) and chian tzu ku (scissor legs) emphasized in Beijing-style Pa Kua Chang. However Wen An's way to walk the circle is totally different. I observed that their walking technique is pretty close to the chian ci ku but for them the tang ni pu doesn't exist. Ch'uan. So in this article I would like to introduce the much less known Pa P an Chang which is practiced today in the Wen An area. Leaving aside myth, history, and academic debate, learning about a different way to perform Pa Kua can only enlarge our vision, enrich our practice, and benefit the art in general. According to Wen An's local information, Tung Hai-Ch'uan and Li Chen-Ch'ing both had students. In 1915, Jen Chih-Ch'eng, an outstanding student of Li Chen-Ch'ing, published a book called Yin Yang Pa Pan Chang Fa At the time, only one hundred copies were printed at the price of one silver dollar each. In 1988 it was reprinted by Tiantsin's Ku Chi (ancient book) Bookstore. Twenty thousand copies were published and now they are hard to get. Of course Jen Chih-Ch'eng passed away as has the younger master, Kao Chih-Kai, who performed the usage with him in the book. However. I met Jen Chih-Ch'eng's nephew, also Kao Chih-Kai's student, Ren Wen Zhu (Jen Wen-Chu). Now in his forties, he was several times a gold medalist in traditional wushu. Not only is he teaching Pa Pan Chang in Wen An but he was also invited to teach elsewhere in China. He's published a book entitled Yin Yang Pa Pan Chang, subtitled Ching Dynasty Original Pa Kua Chang (Volume V of the Hebei Wushu Collection) in 1987. It too is hard to find because only fourteen thousand copies were printed. Today many people feel that without walking the circle you are not practicing real Pa Kua. This isn't entirely true. Let's start with the name. Chang means palm, used because most of the hand structures in this style employ the palm, not the fist. Pan was originally a noun meaning plate, a round-shaped utensil. The Chinese use this word to signify many other round objects. The steering wheel is called "direction" p'an. A round face is "pan face". Since circle? The big difference lies in the step. First of all, the foot must be raised three to five inches above the ground and returned in a heavy, stamping, though quiet, manner. After the student's technique has improved, then he must work on increasing the speed. In the end, Pa P an Chang practitioners don't walk, but instead run the circle. These different techniques are clear trademarks separating Pa Kua from Pa P an Chang. In my opinion, the tang ni pu is extremely important to Pa Kua usage. If it is Tung Hai-Ch'uan's own creation, / then it is the development of a combat genius. Sadly this step is rarely performed correctly because we don'tv use kung fu to fight anymore. Most unfortunately, the worst example of tang ni pu, found in China's modern wushu, is now starting to spread to foreign countries. Nowadays Pa Kua Chang forms are always fixed regardless of the stylistic diversities of different branches. The higher generation Pa Kua Chang masters, however, had the freedom to show personal interpretations and create their own sequences. Following that tradition, Wen An's Pa P an Chang practitioners enjoy a lot more freedom in practicing the movements. Movements may be performed by themselves, linked together as short sequences, or stretched out into forms. Practitioners are free to compose their own forms while adhering to fundamental rules: the basic eight palms with the basic eight legs and the basic eight postures. And every single one of the basic eight grand postures supports seven subordinate postures, in other words, one plus seven postures equals eight movements. If we link all of them together it becomes a sixty-four movement form. Chang, reveal fewer kicks than they actually employ. 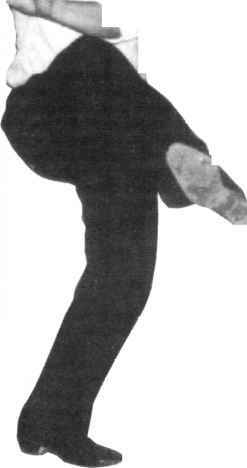 In kung fu, each single-leg and empty stance contains a potential kick. The palm techniques in Pa Kua Chang and Pa Pan Chang don't differ in any major way. Basically, both use the chuan chang (penetrating palm) to open the door, and the shifting inside and outside, called nei men. wai men. on the heaven-earth-man (upper, lower.